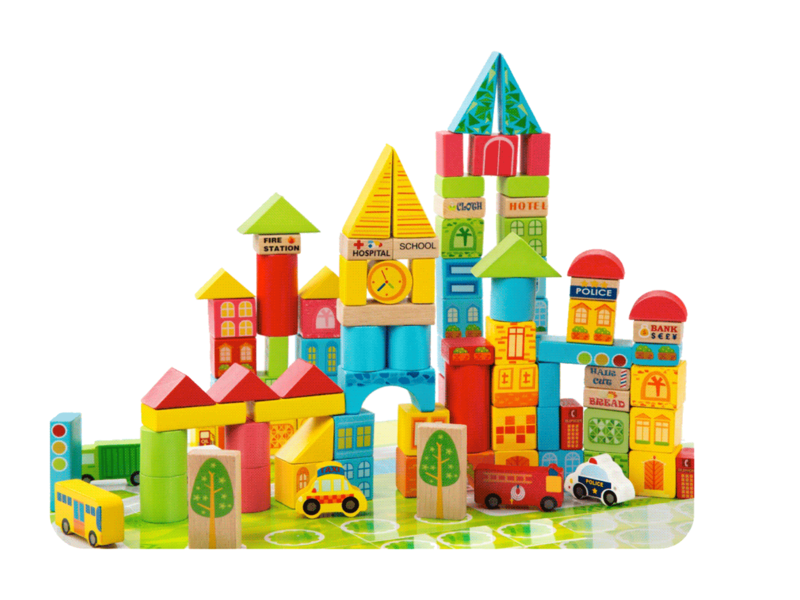 Master Box Dimension : 21" X 20" X 23"
This 100 piece set features multi-colored wooden building blocks in all shapes and sizes! 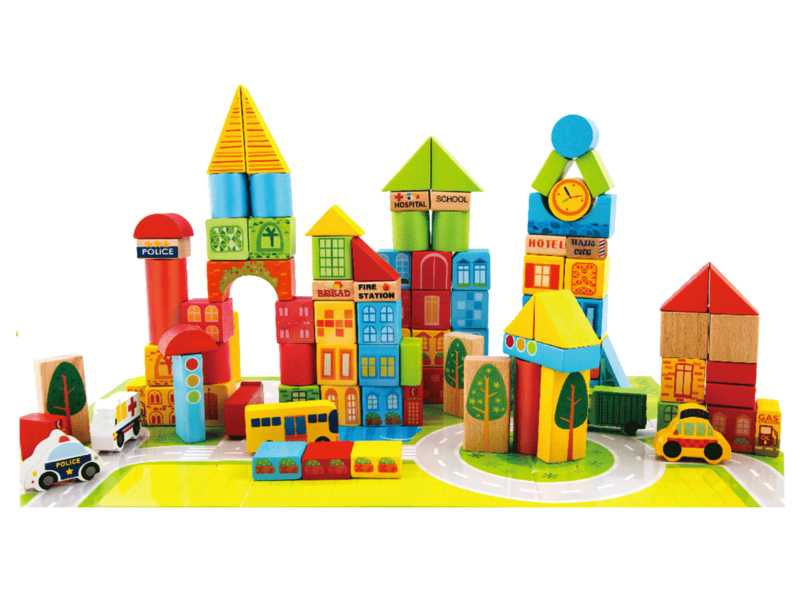 Kids can use their imagination to create their own city. 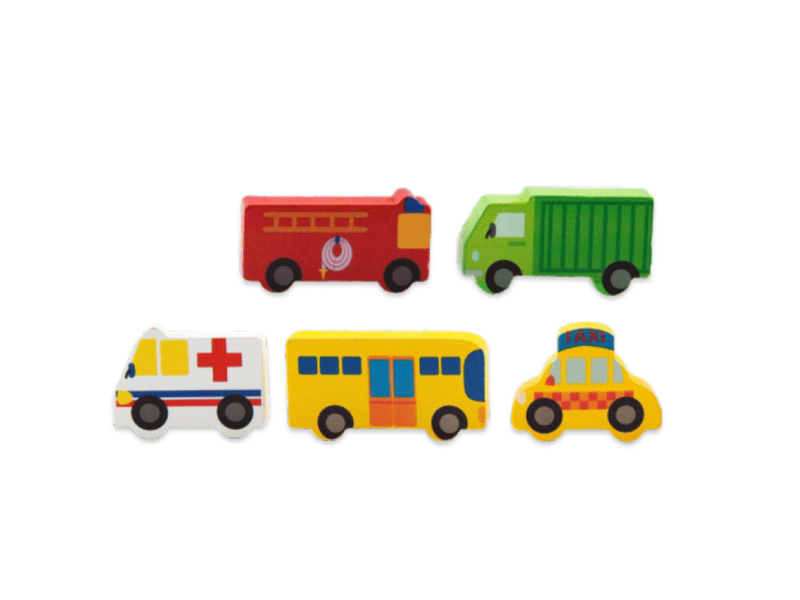 It even comes a variety of vehicles and other interactive pieces.